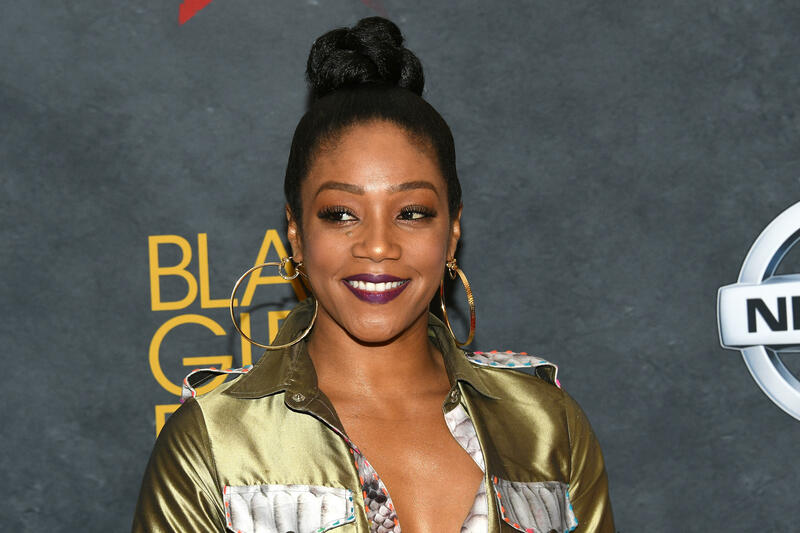 Tiffany Haddish was moved to tears when her friend, Tyler Perry, gifted her with a new car. The actress revealed that Perry gave her a brand new Tesla after she said that it was her dream car. Haddish stars in Perry's upcoming film, "Nobody's Fool." The "Girls Trip" actress wrote about the generous gift on Instagram and shared videos from Perry. She wrote, "So I got this message from my friend and Big Brother @tylerperry a week ago. When I tell you I cried so hard. I almost couldn't believe it." In the videos, Perry tells her that he knows it's hard for her to give up her hard-earned cash. "When your career first takes off, start making a little money and you're worried, 'Is this it? Is this it? Have I made it? Have I made it?' So you put all the money aside. You don't want to spend it. I know that feeling. I've been there. What I learned over the years is it's okay to spend a little bit," said Perry. He advised that she spend 2 to 5 percent of her money to enjoy herself. Perry said he knew Haddish was dreaming of a Tesla but was putting off buying it. He said, "Your career is taking off; you're going to be around a really really long time ... The real deal is you gotta be okay with spending a little bit of money, so wanted to give this to you and say you deserve it and I'm excited for you and all that's going on." Haddish has done plenty of stand-up bits talking about her early career struggles, when she was living out of her car. Perry was also homeless early in his career. In the video, Perry showed off the new ride and said, "Love you, Tiffany. Proud of you girl. It's all yours, here in L.A. waiting for you." Haddish joked on Instagram that Perry was probably sick of hearing her talk about the Tesla. She said, "1st off a man has never bought me a car out right. I have always had to make payments. This was just out the kindness of his heart And probably tired of me talking about it all the time and I didn't have to do anything for it but a Great job in our New Movie Nobody's Fool. Thank God for kind people that want to spread happiness." She also joked, "I am now on my way to see if this is Really! Cause I am still waiting on the one @theellenshow said they would let me use for a week."